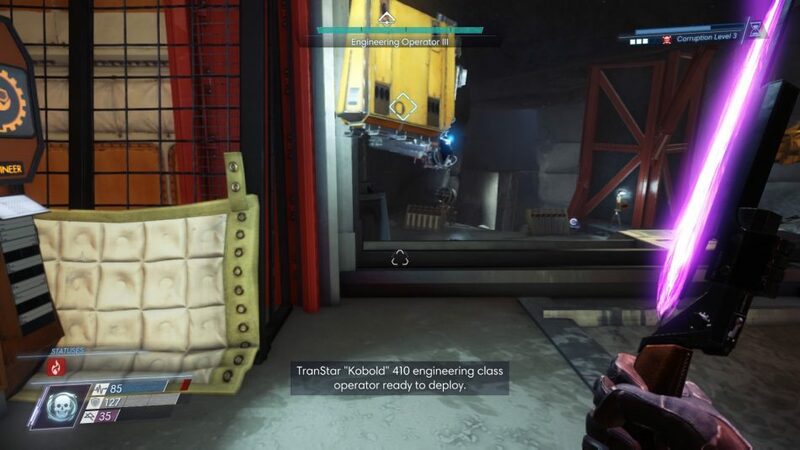 HIGH Exploring new areas in the Prey universe. LOW The difficulty growing more aggressive the longer I played. WTF That disgusting broken bone leg-crunch sound? Yeeeeeesh! 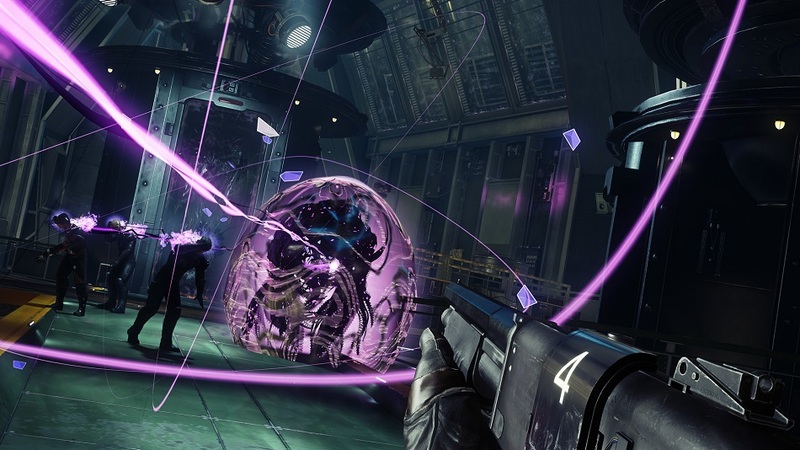 Despite Bethesda’s habit of following flagship releases with post-game content, they remained tight-lipped on DLC for Arkane Studios’ Prey until a year after its summer 2017 release. Contrary to what people might have expected, Arkane didn’t announce a new story-focused addition to protagonist Morgan Yu’s adventure. Instead they revealed an arcade-like roguelite mode called Mooncrash. Prey‘s core campaign is a first-person, open-world explorational shooter similar to Bioshock or Deus Ex. 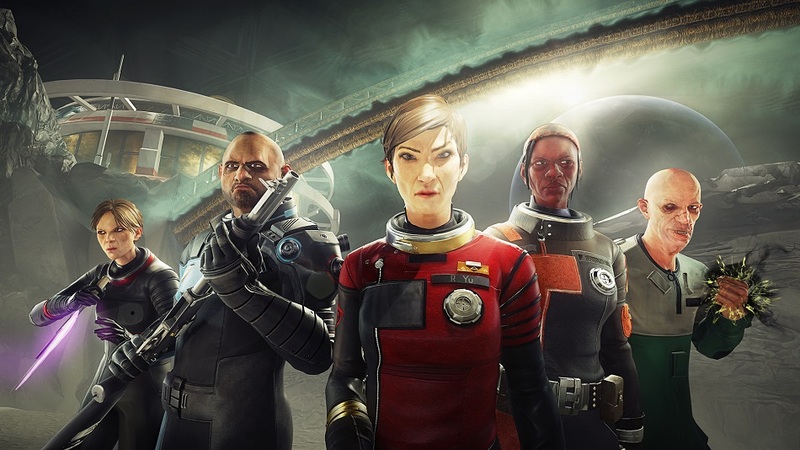 Players roamed a space station after an alien outbreak occurred, and had a variety of options on how and when to complete quests and ultimately decide the fate of the station. Players also had the option to upgrade themselves with human or alien abilities. I reviewed Prey when it launched, and (spoiler alert) I loved it. Mooncrash puts players in a simulation of an alien outbreak on a moonbase similar to but separate from Prey’s space station. The moonbase consists of a central crater area with three large wings — a lab, an employee quarters and a dig site. Once players enter a wing, a shuttle is available to send them to the other areas. But, as Mooncrash leans into its roguelite randomness, sometimes the shuttle isn’t always operational. More on that later. Players begin with one character, but five characters will eventually become playable, each with unique starting loadouts and upgradable skills. The overall objective is to get all five characters off the base via various escape methods in a single simulation run. The catch (of many catches) is that the simulation is timed. The longer the player runs the simulation, the more a “corruption” level increases. There are five levels, and once the corruption hits level 6, the simulation crashes. With each rise in corruption, enemies level up and and become more abundant. Also (and this is where much of the roguelite comes in) once a character dies, they’re dead until the simulation resets. Upon death, the player must switch to another active unlocked character to continue. Players have the option of manually resetting the entire simulation at any point if things are looking dire, too. Each individual character has their own story objectives linked to unique methods of evacuation. For example, the security guard can leave via a containment locker after he finds a note from someone who died trying to escape the same way. Another character’s escape requires her to upload her consciousness into a computer and eject a drone carrying the data. I enjoyed these objectives, because they remain hearty, but are more obtainable than getting all five characters out and left me feeling like I’d accomplished something when I finished one. Occasionally a character-specific story quest will lead to story morsels, too. Without spoiling anything, I’ll just say not all of the unlockable characters are interested in the same goals as the rest. When I began Mooncrash, I was enamored. The idea of having new areas to explore in a game I loved kept me going, and I was happy to ignore the five-people-must-escape while roaming the wings to check off character objectives, find unlockables and loot — upgrades stay with a character even after the simulation resets, and blueprints can be found that allow players to buy items before entering the simulation to make subsequent playthroughs a little less taxing. The way the roguelite approach guides play is pretty simple — in the beginning, dead NPCs in the environment hold different items, and random enemies would spawn in various areas. However, the more I played, the more complicated the variables became. For example, the transport shuttle worked for every wing, and every wing was powered and open. Later, there was a random chance that one wing would be completely powered down, requiring me to perform tasks to make it accessible again. Or, the shuttle itself might require batteries before being ready to a certain station. Even later after completing more individual objectives a dust storm permanently washed over the central crater area. Variables like these complicate the objectives and don’t go away even if the simulation resets. Taking into account the time limits, the complications that kept adding up, and the scope of the mission overall, Mooncrash often proved too frustrating and combat-heavy to enjoy. The stress of getting five characters off the base in different ways without a single death in a limited amount of time was not satisfying — I know difficult games have become all the rage lately, but I like a sense of empowering progression the longer I play, not feeling more overwhelmed and anxious. Although I played Mooncrash for ten hours, I never got everyone off the base in one run and eventually my frustration turned to boredom — the average load time hovering around two minutes didn’t help either. Disclosures:This game is developed by Arkane Studios and published by Bethesda Softworks. It is currently available on Xbox One, Playstation 4 and PC. This copy of the game was obtained via publisher and reviewed on the XBO. Approximately 10 hours of play were devoted to the single-player mode, and the game was not completed. There are no multiplayer modes. Parents:According to the ESRB, this game is rated Mature and contains Blood, Language, Use of Alcohol and Violence. I wouldn’t recommend Prey: Mooncrash for audiences who aren’t used to humans shooting and bludgeoning aliens. It isn’t over-the-top in its violence, but it’s still present throughout. 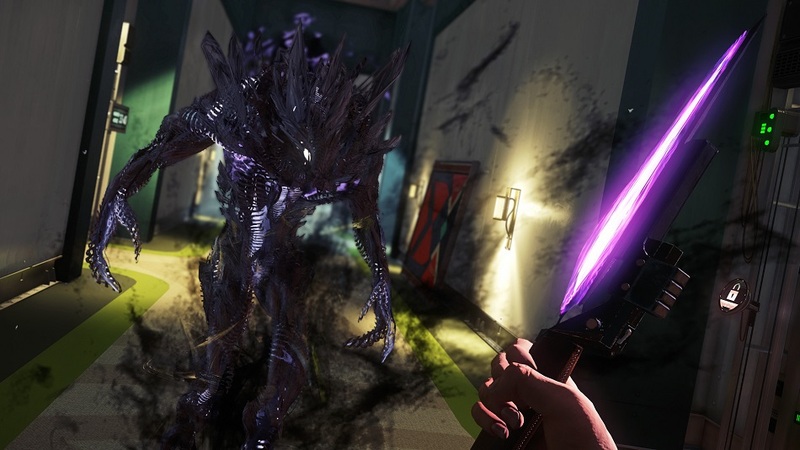 Deaf & Hard of Hearing Gamers: Prey contains subtitles for all dialogue, and on-screen prompts that show when enemies are suspicious and fully alert to players. The subtitles are not customizable. 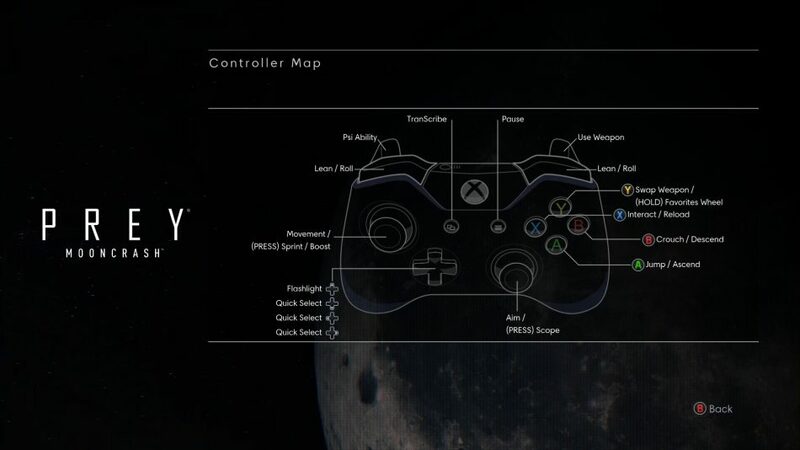 Remappable Controls: No, this game’s controls are not remappable. The Y-axis can be inverted or standard. Sensitivity, Head Bob and Camera Roll can all be adjusted on separate sliders.